This trip provides a great opportunity to enjoy fishing in one of Cambodia’s most beautiful scenery, and is a wonderful way to spend the morning, while gaining an insight into marine conservation. 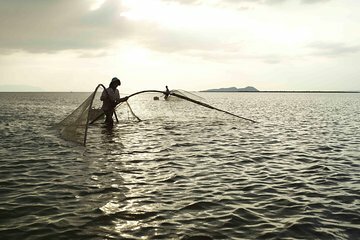 Find out first-hand what it takes to be a traditional fisherman in Cambodia and try for yourself all sorts of local fishing methods. A brief visit to our future new Marine Preservation Project on Koh Karang island for a snack and some swimming will nicely break up this trip.